This season, Ms. DeShong performed Adalgisa in Norma with the North Carolina Opera, gave a recital for Vocal Arts, D.C., sang John Adams' The Gospel According to the Other Mary with the Accademia Nazionale di Santa Cecilia with the composer conducting, and was a soloist in Handel's Messiah with the San Francisco and Houston Symphonies, conducted by Jane Glover. Forthcoming performances will feature her debut with the Philadelphia Orchestra in Rossini's Stabat Mater, conducted by Yannick Nézet -Séguin, a tour of Europe and the United States with The English Concert in which she will portray both Juno and Ino in Handel's Semele, Sesto in La Clemenza di Tito with the Los Angeles Opera, the Verdi Requiem with the Minnesota Orchestra, and the title role in Handel's Rinaldo at the Glyndebourne Festival. 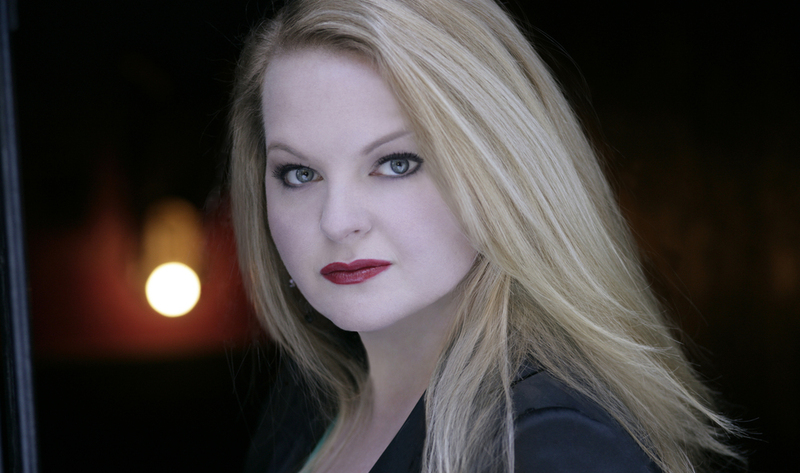 Last season, Ms. DeShong returned to both the Washington National Opera to sing Ruggiero in Alcina, and the Metropolitan Opera for Arsace in Semiramide. In concert she performed Mendelssohn’s Elijah with Music of the Baroque, and made her debut with the Chicago Symphony Orchestra in Schubert’s Mass No. 6, and the world premiere of Three Lisel Mueller Settings by Maxwell Raimi, both conducted by Riccardo Muti. On the European platform, Ms. DeShong returned to the Glyndebourne Festival to perform Suzuki in Madama Butterfly, made her debuts with the Accademia Nazionale di Santa Cecilia, and at the Proms in Bernstein's Symphony No. 1 ("Jeremiah"), under the direction of Antonio Pappano, and sang Hansel in a concert version of Hansel and Gretel conducted by Andrew Davis at the Edinburgh International Festival. During the 2016/17 season, Ms. DeShong returned to the Lyric Opera of Chicago to sing Adalgisa in Bellini’s Norma, and made her Royal Opera and Bayerische Staatsoper debuts as Suzuki in Madama Butterfly. In concert she performed the Beethoven Symphony No. 9 with the Baltimore Symphony, the Verdi Requiem with the Royal Scottish National Orchestra, and the Mahler Symphony No. 2 with the Oregon Symphony. She has performed extensively throughout the world with such companies as the Metropolitan Opera, San Francisco Opera, Lyric Opera of Chicago, Los Angeles Opera, Canadian Opera Company, English National Opera, Wiener Staatsoper, Opéra National de Bordeaux, the Glyndebourne Festival, and Aix-en-Provence. The list of symphony orchestras with whom Ms. DeShong has performed includes the Cleveland Orchestra, Baltimore Symphony, Pittsburgh Symphony Orchestra, Dallas Symphony Orchestra, Orchestra of St. Luke’s, Cincinnati Symphony, National Symphony Orchestra, Toronto Symphony, and the Royal Flemish Orchestra. Ms. DeShong is the recipient of the Washington National Opera’s “Artist of the Year” award in 2010, as the Composer in Richard Strauss’ Ariadne auf Naxos. On DVD, she can be seen as Hermia in the Metropolitan Opera’s pastiche opera The Enchanted Island (Virgin), and as Maffio Orsini in the San Francisco Opera’s production of Lucrezia Borgia (EuroArts Music and Naxos of America), Her recording of Handel’s Messiah with the Toronto Symphony under the direction of Andrew Davis was released by Chandos and nominated for two Grammy Awards in 2018.